The Israeli forces destroyed five factories to manufacture coal and seized hundreds of tons of wood, worth tens of thousands of shekels. According to local sources, Israeli military vehicles, escorted by a bulldozer, cordoned off Palestinian lands in Yabad and knocked down coal structures and equipment. The targeted factories are owned by the Palestinian citizens Mansour Abu Bakr, Subhi Zeid, Hafed Abu Bakr, Mansour Abu Bakr, and Bilal Abadi. Hundreds of Palestinians used to work in Yabad’s charcoal industry. Over the past couple of years, the Israeli forces have destroyed nearly 120 coal structures in favor of the illegal settlement outpost of Mevo Dotan. 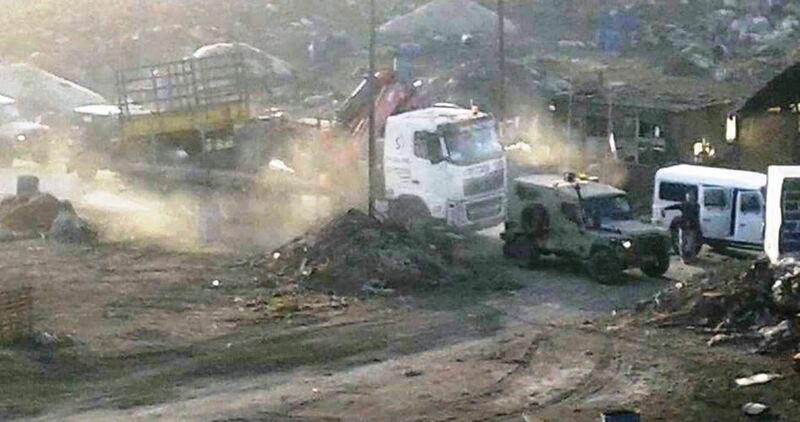 Head of the Union of Coal Factories Owners and Workers, Kayed Abu Bakr, said in press statements that three bulldozers and seven trucks rolled into the area at the crack of dawn and destroyed five factories before they seized hundreds of tons of wood and transferred them to 1948 occupied territories. He added that the 30 newly-destroyed coal structures are the sole source of income for over 1,000 families in Yabad. Shortly before the advent of Ramadan, the Israeli occupation forces knocked down eight structures to manufacture coal in Yabad worth 700,000 shekels each. 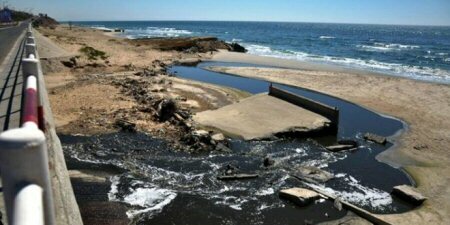 Palestinians in the Gaza Strip can no longer enjoy clean water and air on the territory’s beaches due to high rates of pollution, the local Environment Quality Authority (EQA) reported, this week. PNN reports that, according to the report, 50 per cent of Gaza’s beaches are unfit for recreational purposes due to untreated sewage and waste water being pumped into the sea. An official study showed that they actually pose a serious risk to health and safety. The sewage treatment works in Gaza have been targeted by Israel on a number of occasions and the Israeli-led blockade prevents spare parts from being obtained to carry out essential repairs. Furthermore, the daily power cuts and fuel shortages mean that what little equipment is working cannot do so adequately. The Gaza coast on the Mediterranean Sea is the only recreation area available for most Palestinians in the enclave during the summer. It is about 40 km-long, and there are nine major sewage outlets pumping some 1.1 million litres of raw waste into the sea every day. 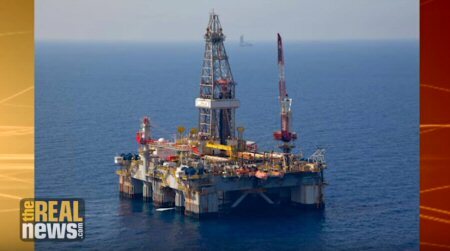 This is having a major effect on the cleanliness of the Mediterranean Sea, warn local officials and experts. Dozens of Israeli soldiers invaded, on Friday evening, Rommana Palestinian village, west of the northern West Bank city of Jenin, and fired many concussion grenades near homes, and into olive orchards and caves, causing many olive trees to burn. 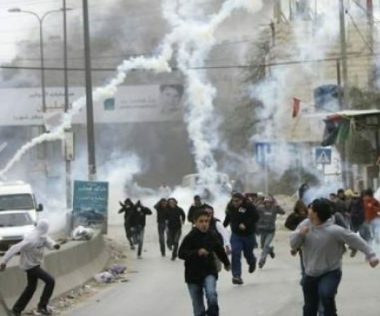 Media sources in Jenin said the soldiers broke into and searched many homes in the village, leading to clashes with many youngsters, who hurled stones at the invading soldiers. The soldiers fired many concussion grenades at homes in the village, and into several caves, in addition to Palestinian olive orchards, causing many trees to burn. The army withdrew from the village without conducting any arrests. Israeli military sources claimed that the invasion was carried out after local youths cut a section of a barbed-wire fence leading to a military base, built on the villagers’ lands. The soldiers also installed a military roadblock on the road that links Rommana with nearby Taybeh village. 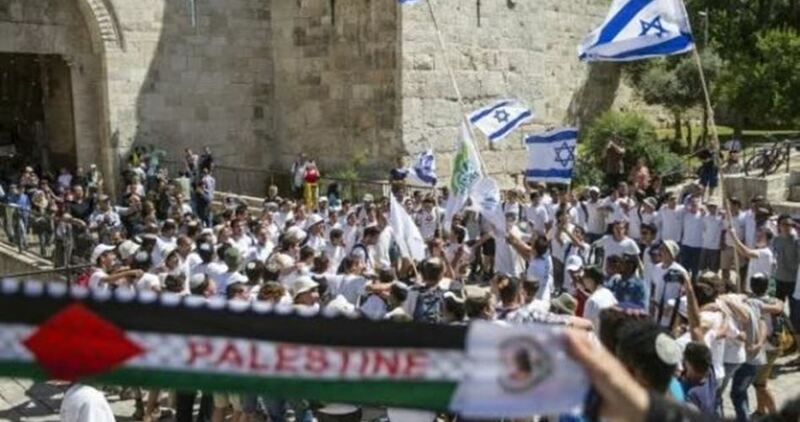 Tension prevailed in Bab al-Amud in Occupied Jerusalem as thousands of settlers stormed the Old City on Wednesday evening as part of the "march of flags" marking the 50th anniversary of the occupation of the eastern part of Jerusalem in 1967. 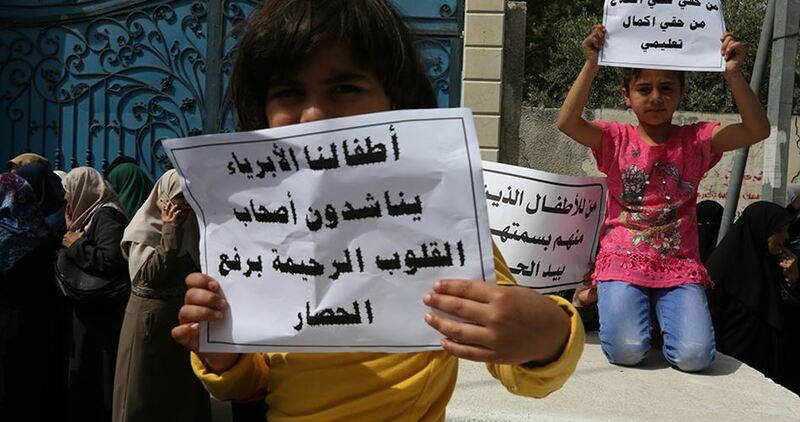 The march was accompanied by provocative dances and racist chants calling for death for Arabs while tight security measures were imposed on the mainly-Arab quarters of the holy city. The Israeli police closed Bab al-Amud with iron barriers to protect the settlers and to prevent the Palestinian citizens from entering or leaving through it during the Israeli march, according to the PIC reporter. The PIC reporter said that the Israeli police attacked a march launched by Jerusalemite citizens in conjunction with the settlers' march. Earlier in the day the Israeli police ordered the merchants of Bab al-Amud and the surrounding area to close their shops at 4 pm to make room for the settlers' tumultuous marches during which they attack the Jerusalemites and their property. A central march for settler gangs will take place later on Wednesday from the courtyard of al-Buraq Wall to the Old City and the areas around al-Aqsa Mosque. Massive celebrations will be held in the settlement outposts of Jerusalem especially those in Silwan town to the south of al-Aqsa Mosque and they are expected to continue until Thursday morning. According to sources from Jerusalem, activists of different nationalities organized a protest at Bab al-Amud to thwart the settlers' march but they were violently attacked by the Israeli police. At least one female activist was injured. At the same time, a Palestinian march was launched on Nablus Street, which is opposite to Bab al-Amud, to confront another settlers' march. Eyewitnesses reported that the Israeli police attacked the Palestinian march and assaulted the protesters. Fanatic Jewish settlers of the illegal West Bank settlement of Yitzhar torched on Monday Palestinian agricultural lands west of Bourin town, south of Nablus city. 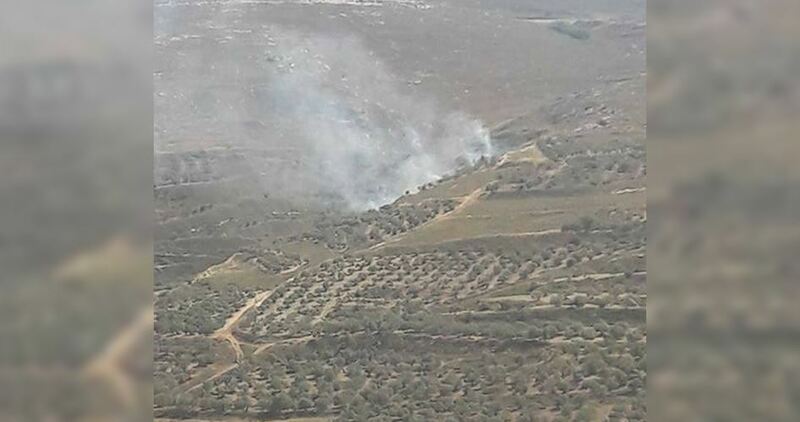 Official of settlement file in the northern West Bank, Ghassan Daghlas, said that large land areas planted with olive trees were gutted in the fire. 255 settlements and 163 outposts, with the population of 620,000 settlers, are illegally established over the occupied Palestinian territories in the West Bank and Jerusalem. 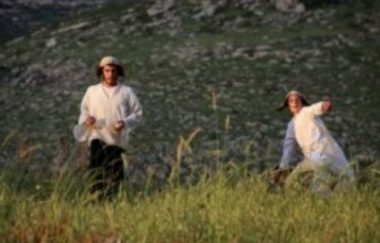 The settlers carry out semi-daily attacks against Palestinians. Illegal Israeli colonists invaded, Sunday, Palestinian lands in the al-Khader town, south of Bethlehem in the occupied West Bank, uprooted dozens of recently planted grapevines and sprayed at least 300 vines with toxins. Ahmad Salah, the coordinator of the Popular Committee against the Annexation Wall and Colonies in al-Khader, said the attack targeted agricultural lands, owned by Mohammad Abdul-Salam Salah, and his family. Salah added that the attacked vineyard is located in Ein al-Qassis area, in the western part of al-Khader. He also stated that a similar attack was carried out against the same vineyard just three months ago, when the colonists uprooted and stole 500 vines, in addition to stealing fences and iron bars. A horde of Jewish settlers at dawn Friday set fire to a Palestinian bulldozer in Burin town, south of Nablus in the occupied West Bank. The bulldozer belongs to Abdul-Azim Idris, who lives a few meters away from the main entrance to Burin town and owns a business there for selling construction materials. 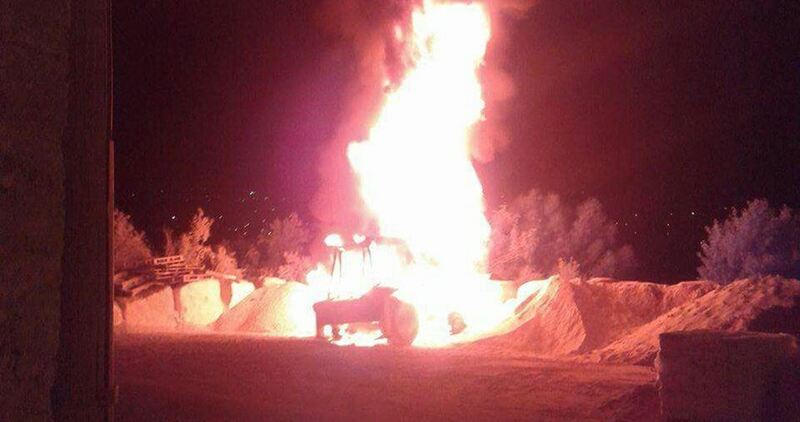 Eyewitnesses told the Palestinian Information Center (PIC) that several settlers stormed the area aboard a car, poured a flammable material on the bulldozer and set it ablaze. They added that the entire bulldozer became quickly engulfed in flames before a fire brigade arrived and extinguished the blaze. The settlers also spray-painted insulting slogans on a stack of concrete blocks at the same site. The Israeli occupation authority (IOA) on Tuesday uprooted dozens of Palestinian-owned olive saplings in Khirbet Abziq hamlet, east of Tubas in the northern Jordan Valley. 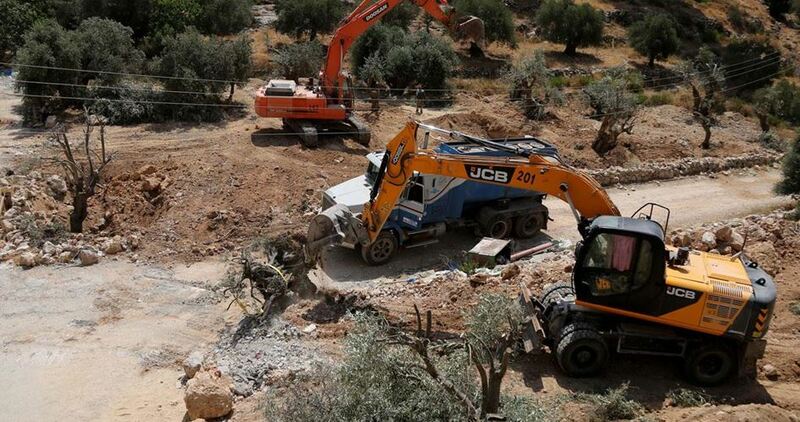 Specialist in settlement affairs Aref Daraghmeh said that employees from the Israeli nature authority escorted by Israeli soldiers stormed Khirbet Abziq and uprooted more than 60 four-year-old small trees belonging to a local citizen named Ahmed Khalil. Daraghmeh said that the soldiers helped the nature employees remove and seize poles and barriers that were placed around the trees to protect them. The International Committee of the Red Cross (ICRC) warned on Tuesday that the severe shortages of power and fuel in the Gaza Strip have reached a critical level that threatens the provision of the basic services. The ICRC explained in a brief press statement that these shortages threaten health care, sewage water treatment and clean water supplies, adding that there is a crisis looming in the sectors of public health and environment if there is no immediate intervention. The statement noted that electricity is provided for the Gazan citizens for only six hours a day in the best cases. It underlined that all aspects of life were affected in Gaza because of this crisis and that a comprehensive collapse is about to hit the infrastructure and the economy which are already worn out. 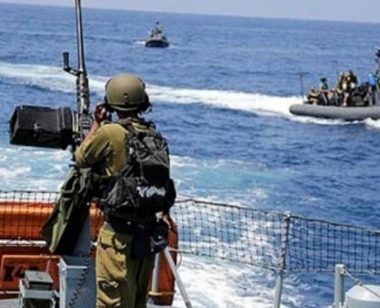 Israeli navy ships attacked, on Monday morning, several Palestinian fishing boats, in Gaza territorial waters, northwest of Gaza city, abducted six fishermen, and confiscated a fishing boat. The navy fired many live rounds at the Palestinian fishing boats while they were less than four nautical miles from the Sudaniyya Sea, and abducted three siblings from their boat. The abducted fishermen have been identified as Mohammad Abu Warda, 27, his brothers Yousef, 22, and Hussein 14. The three siblings and their boat were taken to the Ashdod Port. In an earlier attack, the navy attacked fishing boats, abducted three Palestinians, identified as Mohammad Sa’id Bakr, Mohammad Tareq Bakr, and Abdullah Sabri Bakr, and destroyed 60 fishing nets in the Sudaniyya Sea.